Since almost 85 percent of small businesses have fewer than 20 employees, capacity can be a huge challenge. The firm’s few employees are often stretched thin, and take on multiple responsibilities outside of their regular job description. This is why many small businesses end up managing their technology with an impromptu IT team. Rather than hiring a dedicated specialist, the business relies on the most tech-savvy employee to manage their systems. While this strategy can be effective, it is important to get an outside review in the form of a network audit. This will help ensure that your systems are functioning effectively and up to standard. If you have never had a network audit before, keep reading. Here is what you can expect. Why Do I Need A Network Audit? Before we get into what a network audit is, let’s take a closer look at why your business needs one. An audit should be a routine part of any business’s operations. By definition, an audit is an investigation into an organization that is carried out by an independent party. While the term “audit” is often used with finances, it can apply to various kinds of systems. A network audit, then, is when a third-party organization investigates your network’s functioning to check for compliance and efficiency. This is important to do because independent IT experts will notice potential issues with your network that you and your team might overlook. On a daily basis, most small businesses are focused on simply making sure their network systems work. By contrast, an audit will ensure that your network is also secure and up to date. One of the most important reasons to have a network audit is to keep yours and your clients’ data secure. Estimates indicate that more than 14 million US businesses are at risk of hacking. If your company deals with sensitive information, like financial or health records, you need a secure network to protect them. Network security risks like viruses and software vulnerabilities can put your company at risk of a data breach. To prevent these security issues, it is always important to install updates and patches on your systems. But if your office has several computers and other pieces of equipment, it can be challenging to keep up. An auditor will be able to quickly identify which computers need updates. In some cases, they can also install automation software so that your machines will never miss another update. 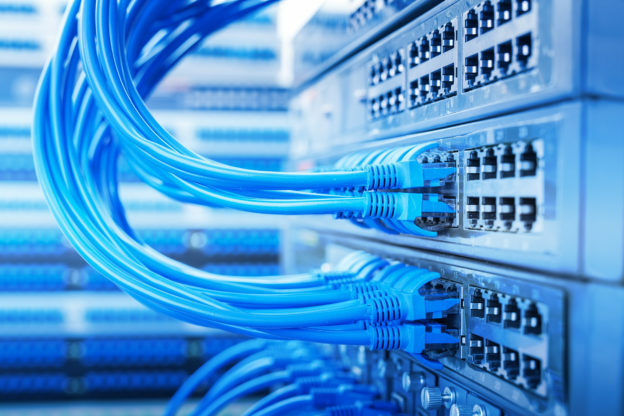 Depending on the kind of data your business deals with, there may be certain standards that your network systems must comply with. An auditor will determine whether you are in compliance. If there are issues, they can resolve them so that your clients can have confidence in you. Most small businesses work to save costs by getting as much use out of their equipment as possible. While this can be a responsible approach, it can also leave your important information at risk. If your network is set up with outdated hardware, an outage could lead to a loss of your needed data. An audit will be able to examine your equipment and determine if your hardware is at risk of an upcoming failure. This will help your team determine when you need to update your hardware. It’s not just your hardware that might need updating. The operating systems you use can become out-of-date, which can lead to frustrations for you and your employee. An auditor will be able to identify what updates you need. This will give you faster loading times and more reliable service. Also, updating your network may help to resolve some underlying problems. In many cases, a chronic problem that you experience with your technology is symptomatic of a more serious issue. An audit will help identify the root cause of these issues. Keep in mind that if your office does not have an in-house IT professional, you may not be using the most efficient software and connections. An auditor will look at what you use your network for, and how well-equipped your current system is for satisfying those needs. If the auditor determines that your current systems are not up to speed, they can make recommendations to improve them. This kind of network refresh can significantly improve your user experience. Sometimes small businesses grow more quickly than their teams can keep up with. They acquire new employees, new equipment, and new offices, and might have time to catalog everything they have. Before long, no one at the company knows how to navigate their network. A network audit will be able to sift through this. The auditor will identify what systems are running, what devices you have, and what the most efficient way is to use them. When you request a network audit, the auditor will not make any changes right away. Instead, the will write up a detailed report of what their findings are based on the audit. Usually, the auditor will also provide a list of recommendations for potential changes and fixes. This list will likely indicate which changes are urgent, and which are optional. Some of these changes may be complex and involved, while others might be quick fixes. When you receive the report, it will be up to you to decide which recommendations to heed. Keep in mind, however, that if you decide not to fix problems, you may be putting yours or your clients’ data at risk. A network audit is a great way to ensure that your IT equipment is up to date, secure, and efficient. Having an outside party look at your systems will reveal problems that folks in-house might overlook. Now that you know what to expect from a network audit, it’s time to schedule one for your business. If your office needs an audit, contact us today. We’ll work to connect you with the IT professionals you need.